“The ultimate goal of farming is not the growing of crops, but the cultivation and perfection of human beings.” — Japanese farmer, writer, and proto-permaculturist Masanobu Fukuoka from his book “The One Straw Revolution”. My photographs and essay entitled Back to the Land chronicle the triumphs and struggles of my oldest son Matt and his partner Tasha Greer as local farmers over the past three years. The narrative draws on the thoughts and experiences noted in their blog The Way Back (www.the-way-back.com). Tired of living in a crowded urban environment with its deafening noise and bumper-to-bumper traffic and eager to escape what they saw as an economy bent on destroying the planet, Matt and Tasha left their home in the Washington, DC metropolitan area in March 2014. 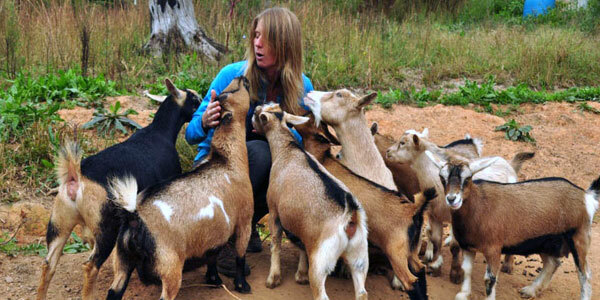 In doing so, they became modern-day pioneers, part of a wave of Americans who have chosen to go back to the land over the past decade, seeking to reclaim and rebuild their lives and to forge a deeper connection to the earth, the animals that inhabit it, and to each other. 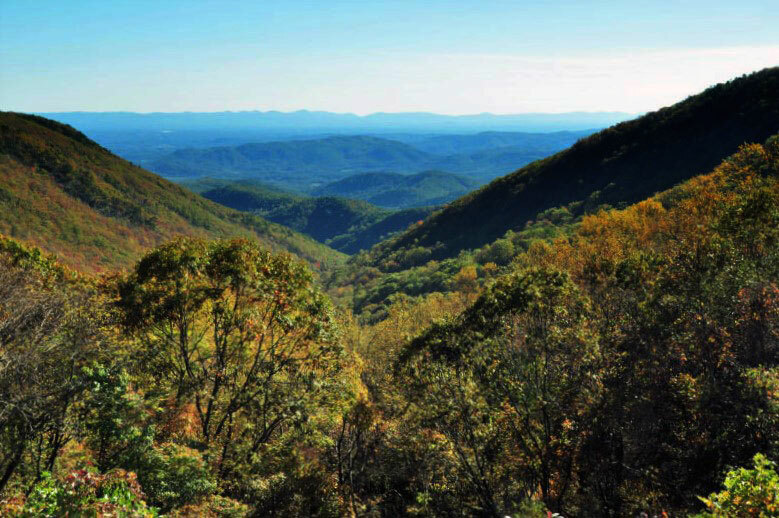 Matt and Tasha moved to a 10-acre, mostly wooded property in Lowgap, where the Blue Ridge plateau dips down into the piedmont area of North Carolina. 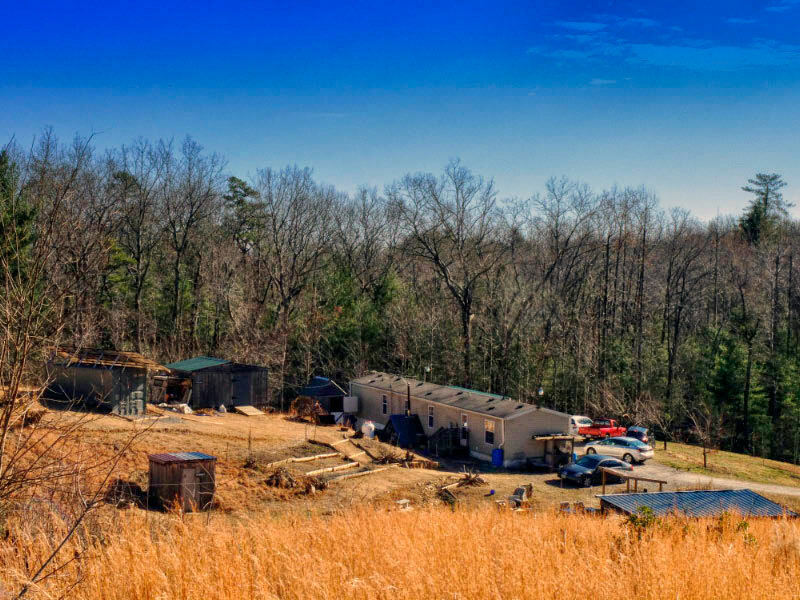 They named it the reLuxe Ranch in honor of the counter-culture lifestyle they were adopting. From the outset, they intended to engage in small-scale farming to provide for their own sustenance and some outside sales to try to earn extra income. 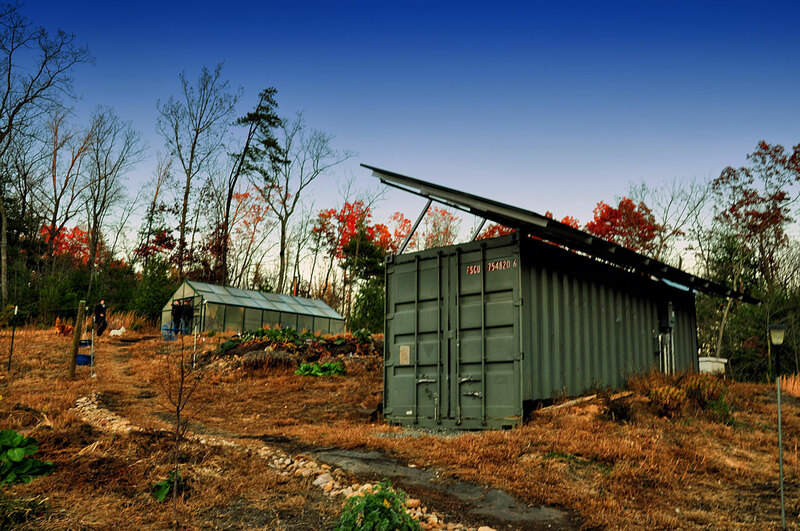 They wanted to work with natural forces, using environmentally-friendly practices, to provide their food, energy, shelter, and other material and non-material needs. They aimed to minimize human inputs while maximizing use of waste products to improve the soil. 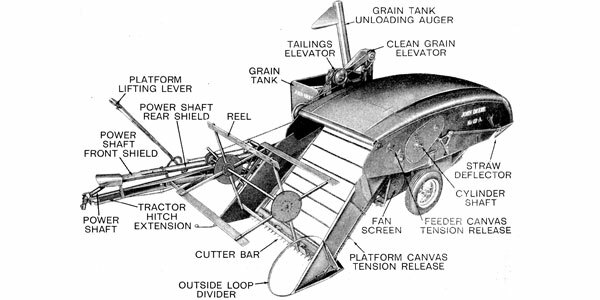 Building infrastructure to support their homestead was one of their most important tasks. They installed a solar panel system to supplement their electricity. 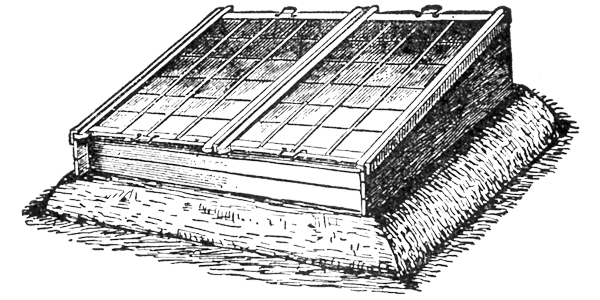 They also assembled a greenhouse for seed-starting and winter vegetable growing that would be used later as a brooder for poultry. 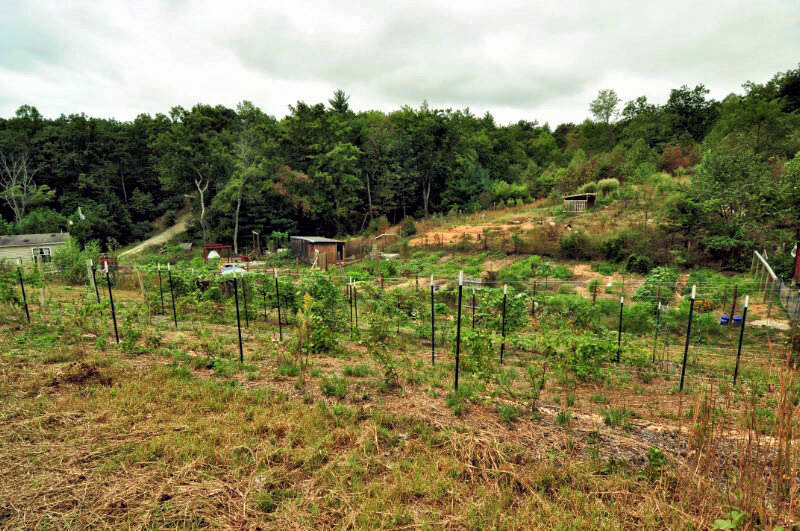 Since the soil was severely eroded, they cover-cropped the exposed land that had topsoil and sheet mulched areas where nothing would grow with wood chips, manure, and straw. They also transplanted fruit plants brought from their yard in Maryland. Later, they purchased and planted other exotic edibles like jujube, hardy almond, and goji berries, and more. They started their vineyard with 50 wine-style vines cultivated for pest and mold resistance to minimize the need for pesticides and fungicides. In fall of the next year, they installed trellising and began wire training the 46 vines of 50 that had managed to survive intentional neglect and the local climate. In their first summer, Matt and Tasha found and foraged edible boletes and other mushrooms from around their property. They also began inoculating their own shiitake and other mushroom logs and created a mushroom grotto. Cultivated mushrooms became a significant and delicious part of their diet and, at $12 a pound, a saleable commodity at the local farmers’ markets. 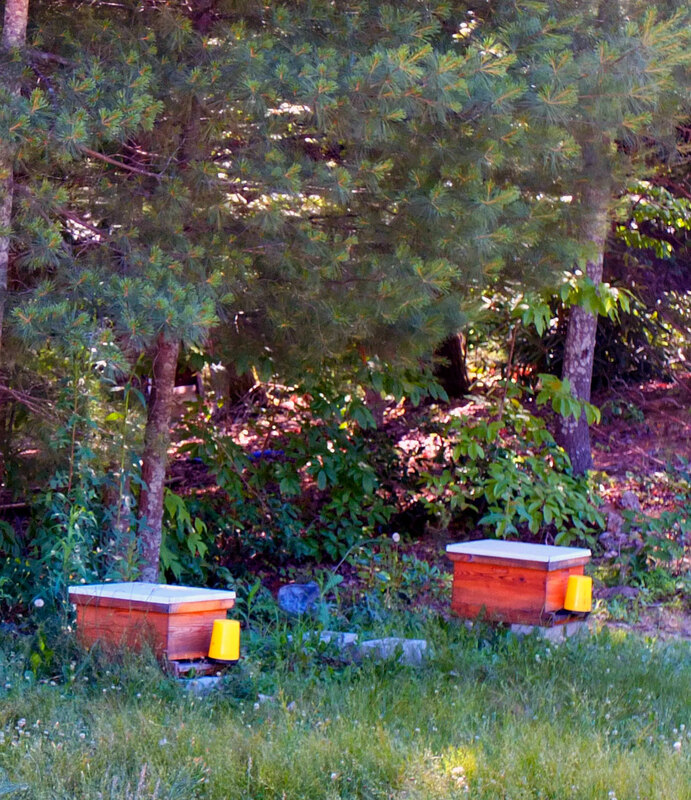 They hoped to raise honey bees for pollination of their plantings and to harvest some honey. However, after several colonies were lost to a cold spring, low nectar flow, wax moth infestations, and Japanese wasp invasions, they decided to take a break from bee keeping until their edible landscape was more developed. 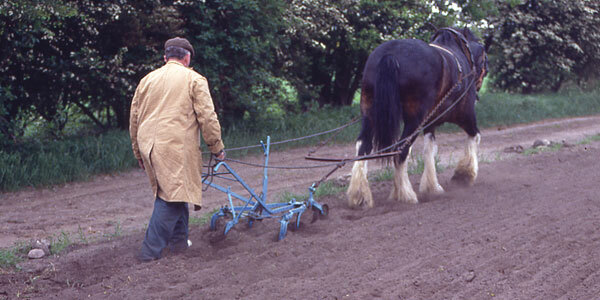 Matt and Tasha knew livestock would play a key part in their soil fertility plan. Initially they bought 15 chicks and four ducklings as egg layers. 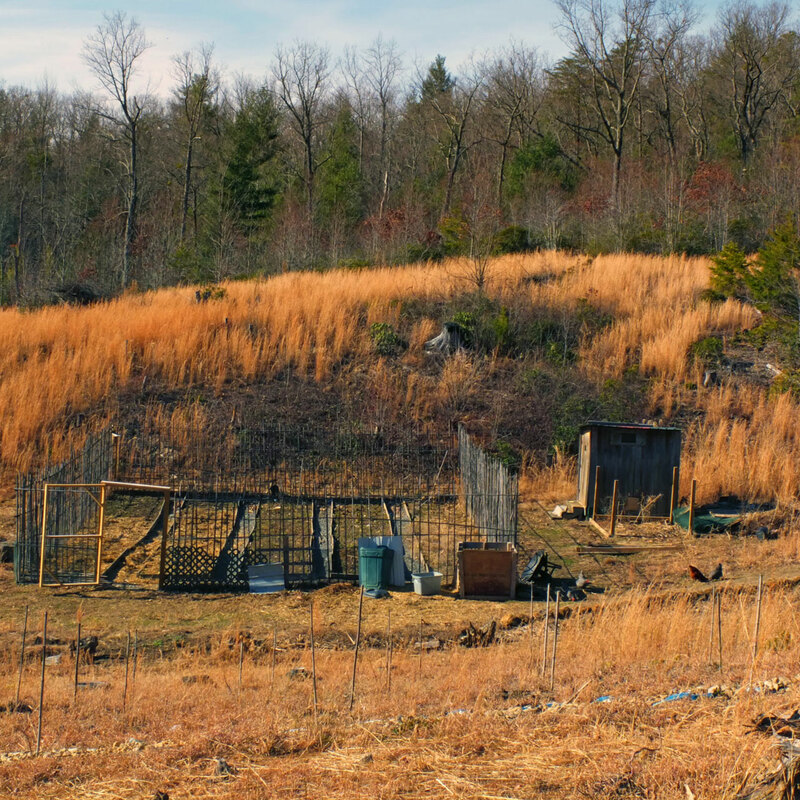 They raised them in the house until they were mature enough to move the chickens to the existing chicken coop and the ducks to a small duck house. 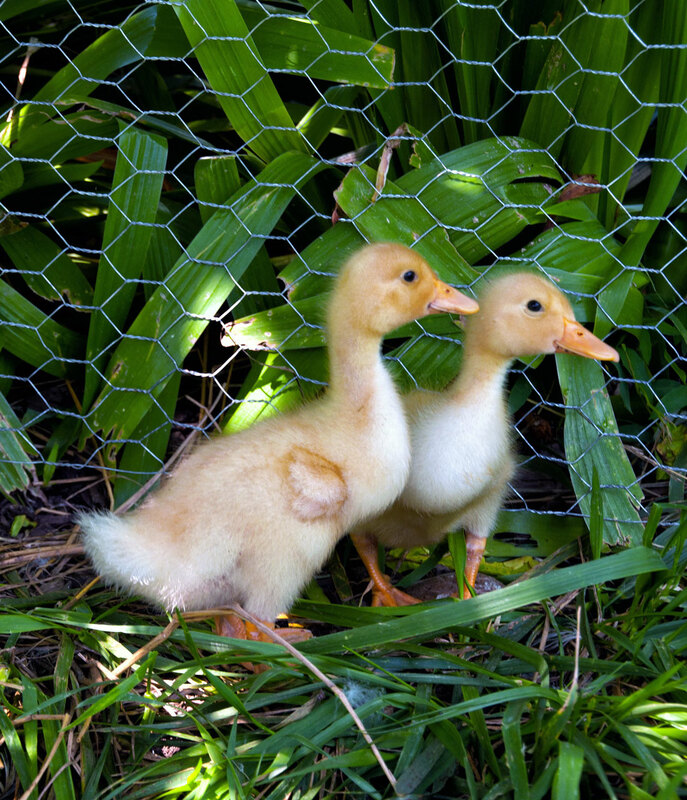 As ducks were a preferred meat source, better layers, and less harmful garden workers than chickens, more ducks were added bringing the population to 20 layers and two drakes. Fertile eggs were incubated and hatched on the farm to produce a small supply of Pekin ducks for meat production and sale at the farmers’ markets. 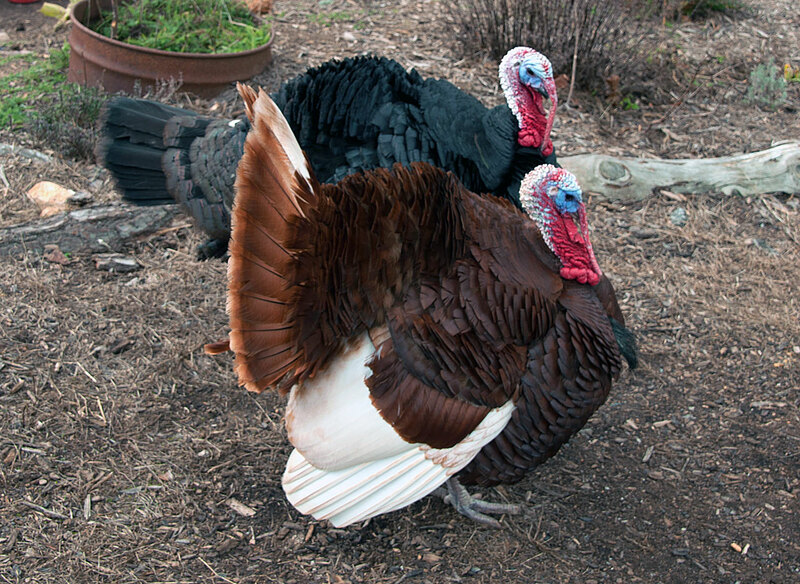 Tasha and Matt tried raising turkeys as well, but their flock of ten was quickly reduced to three after many died in accidents or perished due to neighborhood dog attacks. 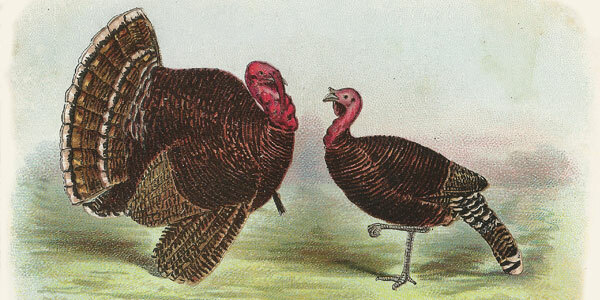 Woodford, a Bourbon Red, and Ferdinand and Isabella, two Spanish Blacks, survived and became pets instead of table meat since they foraged well, ate a lot of pests, and entertained farm visitors. 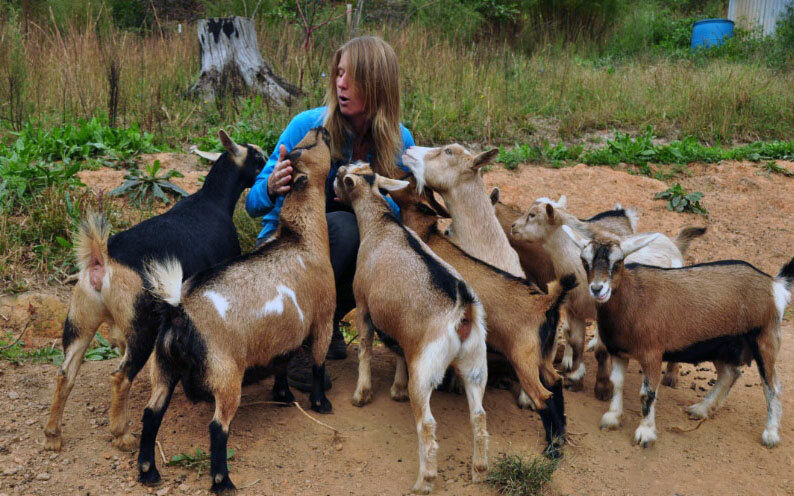 Goats were the first experiment in rearing non-poultry livestock. 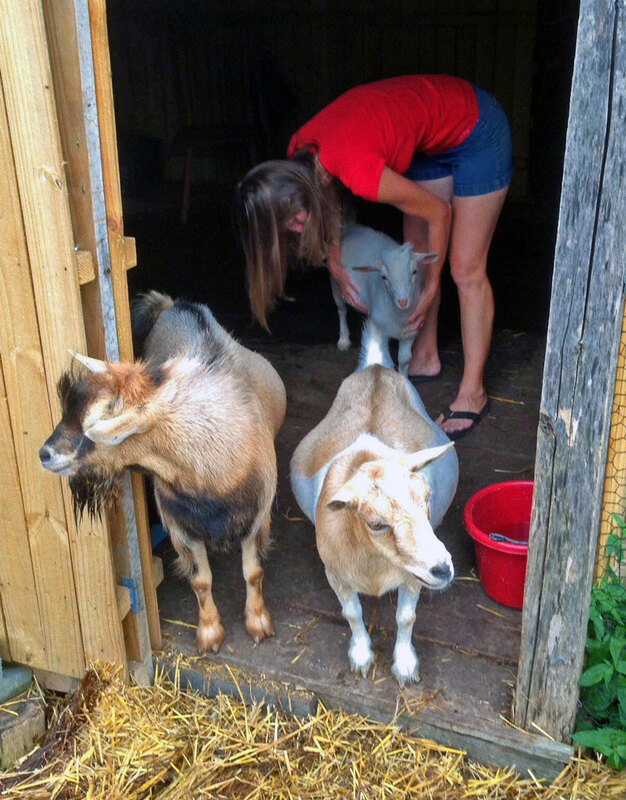 Matt and Tasha purchased two mature Nigerian dwarf does, named Phoebe and Fancy, as breeding stock for their personal dairy herd and underbrush clearers for land development. Several months later they brought in a new buckling to expand their herd. They named him Pythagoras because of the triangular shapes under his eyes and on his head and tail. Pythagoras proved more effective than expected. Phoebe and Fancy gave birth to their first litters in March 2015 and again several months after that. In no time, the milking herd was up to six does. Extra bucklings were neutered and sold as pets. Pythagoras’ first born, Moose, was kept as a buck and companion for him and a later buckling named Patches, also got to stay on the ranch. Milking goats has been a daily chore that has given Matt and Tasha a regular supply of high-cream milk and great tasting cheeses. Matt and Tasha picked up four Yorkshire piglets in the spring of 2015. Their first round of pigs were easy to rear, but grew to unexpectedly large sizes. Since the couple knew nothing about raising pigs, the pigs were each 400 pounds at the time of slaughter rather than the target weight of 270 pounds. Their second round of pigs, acquired in June of 2016, proved to be impossible to keep in pasture without frequent feedings and fence checks. 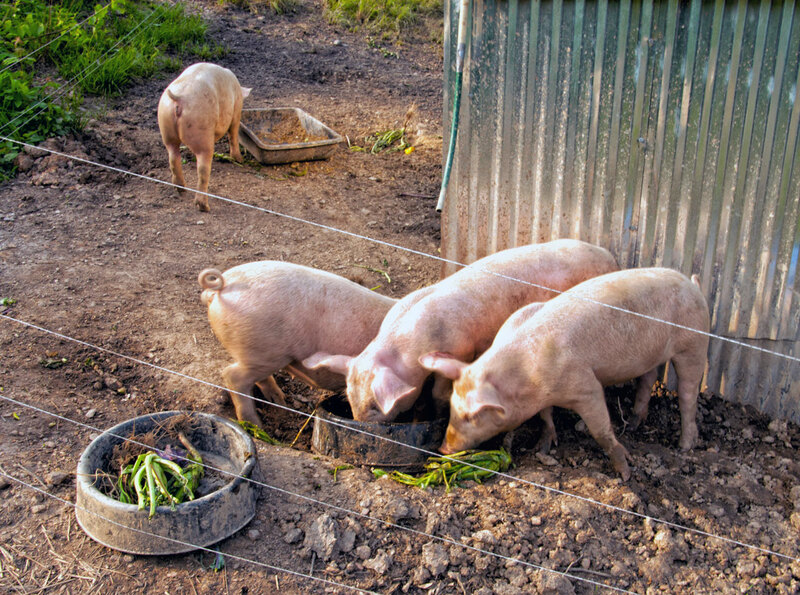 These pigs were about 300 pounds each and ate more than 1,000 pounds of feed plus pasture and garden scraps in their five months on the farm. The cost to buy and feed each pig was $300 and resulted in over 170 pounds of meat products per pig. Like many Americans, Matt and Tasha enjoyed eating meat as part of their diet. However, they objected to what they saw as cruel and inhumane practices in the global industrial food system. The prospect of slaughtering the animals they cared for was daunting initially, but participation in ethically and sustainably raised meat has become a critical part of the couple’s farming ethos. Killing twelve of their 15 ducks in October 2015 — their first attempt to raise meat for personal consumption — was logistically easy in that it involved holding and swiftly decapitating 10-pound ducks. 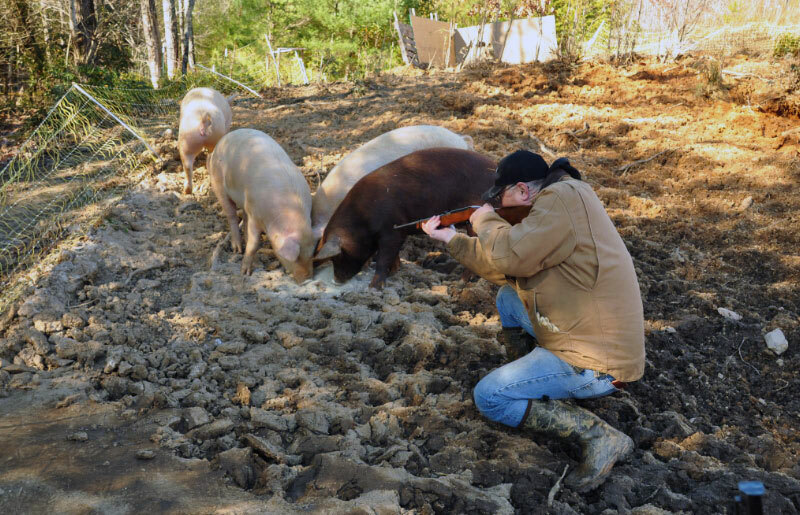 Dispatching four grown pigs required a great deal of planning and coordination to bring together a community of friends, neighbors and family to carry out the slaughtering. Fortunately, many of these people had experience as hunters or grew up on farms and understood the importance of a swift and humane slaughter. It took the better part of two days to butcher the carcasses, cure hams and bacon, and package cuts for freezer storage. It took several more days of hard labor to turn whatever bits were left into sausage, lard, and pate. 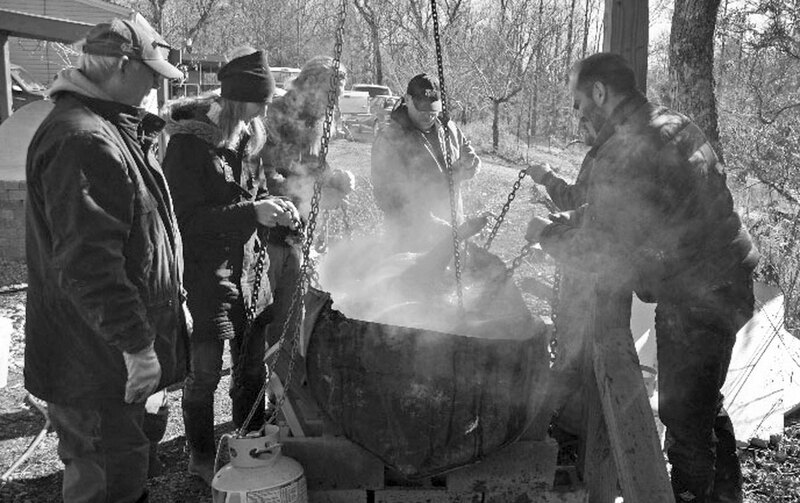 This first slaughter netted 780 pounds of pork products — much of which was shared with helpers as compensation for their efforts or cooked for the post hog killing celebration. 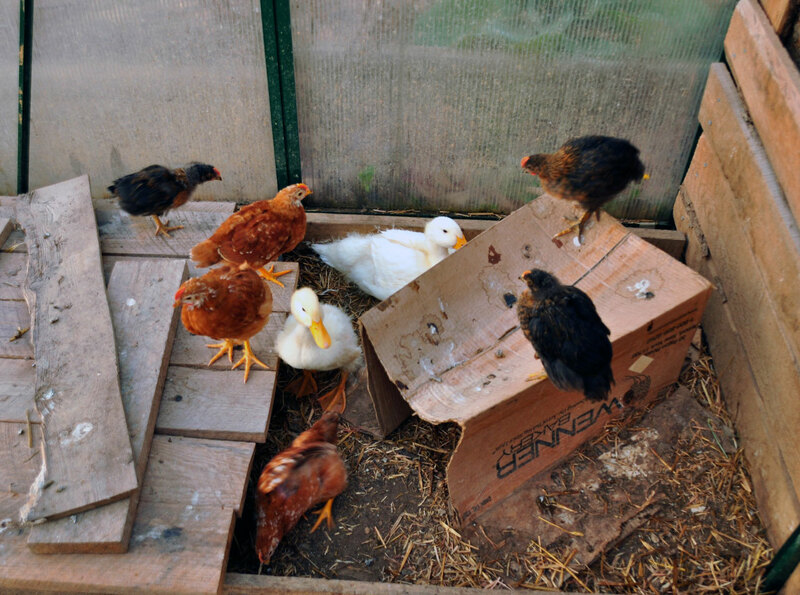 An important element of homesteading is preparing and preserving food that is grown and raised. Matt and his brother Jason built this smokehouse which was used over the winter of 2015 to smoke the country hams, prosciutto, and certain varieties of sausages from the autumn pig slaughter. Farmers’ markets are one of the principal ways small farmers sell their goods. Buying locally-grown, healthy, farm-fresh produce has increased in popularity in recent years. 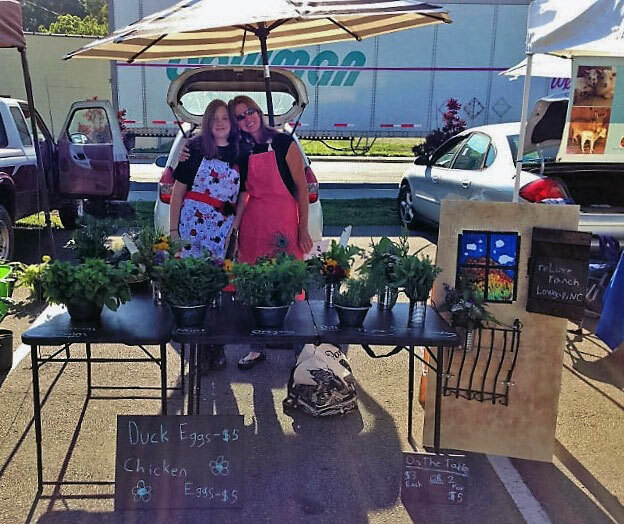 This marketing channel allows farmers to share communal spaces to display their products and to forge a personal relationship with buyers and establish customer loyalty. Tasha has been selling what she harvests in her gardens at markets near where they live in Elkin and Mount Airy, North Carolina. As 2016 ended, Matt and Tasha had many reasons to celebrate. They had tripled the size of their vegetable garden and reaped bumper harvests of salad greens, sweet potatoes, squashes, tomatoes, watermelons, and many other vegetables. They had gained enough confidence and experience to raise and slaughter another round of pigs for their meat. 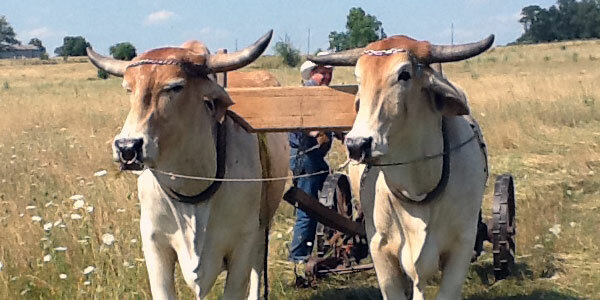 They had started fodder projects to offset the costs of feeding their animals and hoped one day to earn some profits on their hard work. And, finally, they made plans to re-establish some new hives on their farm in 2017 so their gardens could benefit once again from the life-sustaining activities of bees. More than anything, Matt and Tasha were grateful for the wealth of advice and help they had received from friends and neighbors who now formed a closeknit and mutually-supportive community that they have come to value greatly. They had a home now where their hearts would always be.